Aside from using www.ScotlandPeople.gov.uk, Ol' Myrt here has had little experience with Scottish records research, in that she has only helped a few DearREADERS find clues about progenitors and doesn't claim Scottish ancestry on her own family tree. "Other fruitful sources of information are the Kirk Session records that recorded the meetings of the local church elders. The church elders were very much concerned with the moral well-being of their flock, and with bringing those who went astray to task, and you may well find mention of ancestors. Illegitimate births were often recorded here along with the father's name. 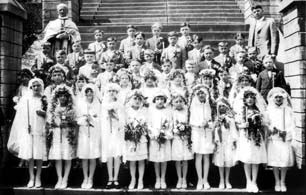 You may also find that your ancestors were among the many who had celebrated an irregular marriage and were subsequently summoned before the Kirk Session. These records will be coming soon to ScotlandsPeople. In the mean time those that still exist are available at the Scottish National Archives, www.nas.gov.uk and you can search the catalogue under CH2 to see if these minutes are available for a particular parish." 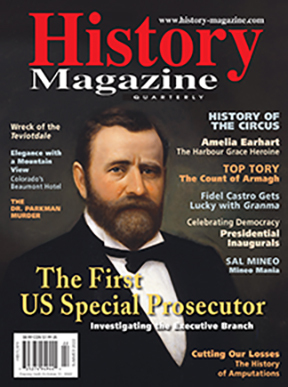 SOURCE: Marian Press' "Researching Scottish Ancestry" from Family Chronicle Magazine. July/Aug 2009 pages 35-37. This leaves Ol' Myrt wondering if the reasons for determining paternity also includes the need to see that the child and nursing mother do not become wards of the parish, as I've seen in my fledgling attempts with my personal 1600-1700 English parish registry research. Whatever the motive, we're thankful when any shred of evidence includes the mention of an ancestor. Ours isn't to play the part of a judge of morals. 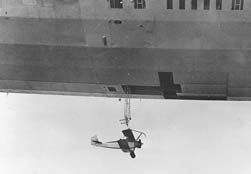 ABOVE: The USS Akron carried fighter planes inside the hull, the places could be launched and recovered in mid-air. My father-dad called them dirigibles. Other than the Goodyear "blimp" hovering over football fields or hydroplane races in my youth, and the terrible tragedy of the Hindenburg, Ol' Myrt here knew little about Zeppelins until David A. Norris wrote about the ages of the great airships in his article "Zeppelins: Luxury Liners of the Sky" published in the Feb/Mar 2009 issue of History Magazine. "The passenger zeppelin was once a symbol of modern mechanical and technological progress. As long as battleships, these grand passenger liners of the skies were buoyed in the air by vast bags of hydrogen. Their passengers enjoyed leisurely trans-Atlantic journeys of luxury and comfort. Then, a single spark ignited a catastrophic blaze that destroyed the finest one in the world, Germany's Hindenburg, ending the age of the zeppelin. A zeppelin is on of three types of lighter-than-air craft, or airships. Also known as rigid airships, they held hydrogen-filled gas bags, called cells in a light metal frame. A blimp is an airship without a metal frame, with a gondola and engine mounts attached to the gas bag. In between were semi-rigid airships, using gas bags atop a partial frame." See pages 13-17. David discusses the history and uses of these flying machines, though I was surprised that instead of aircraft carriers, after WWI, the US Navy ordered several to deploy small planes as pictured above. It would be interesting to hear from my DearREADERS who may have had an ancestor that piloted one of those zeppelins or the small planes they could deploy. Perhaps some trace of personal insights could see the light of day. "You’re probably familiar with most of the existing sites, which offer the facility to search for graves and transcriptions by name or location for free, such as Find a Grave, www.findagrave.com or Interment.net, www.interment.net. 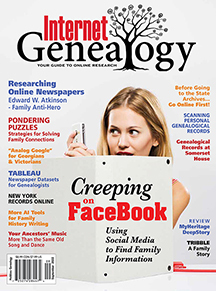 Ol' Myrt here couldn't agree more with fellow geneablogger Lisa Alzo continues "Cemetery mapping is a good way to expand your family research to see the bigger picture. As noted on the site, maps that show each grave’s location allow you to visualize families, and fill in the missing pieces in your genealogy puzzle — perhaps by finally finding elusive ancestors, or even discovering those you did not even know existed." So, would you think that Alma and Mary are sisters, and that Bertha is the daughter of one of them, perhaps born out of wedlock? Alma O[ades] Player is my paternal great-grandfather. Mary Elizabeth was Alma's wife, daughter of William Brockerman and Emma Smith (Yearsley) Wright. Bertha was their 5th child, born in Salt Lake on 9 June 1896 and died 3 Feb 1897. Alzo, Lisa. Virtual Memorial: Names in Stone. 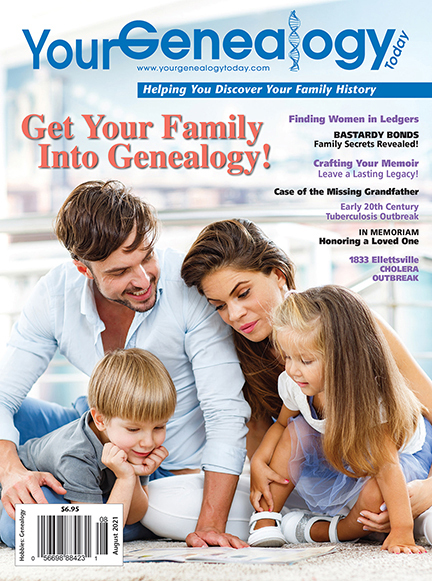 Internet Genealogy Magazine. April/May 2009, page 39. Arpents, Hogsheads & Firkins... Oh My!